Creamy, smooth and well-balanced, Perdomo Fresco Toro cigars are among our most popular Nicaraguan bundled cigars. Its wrapper lends a rich, silky smooth quality. 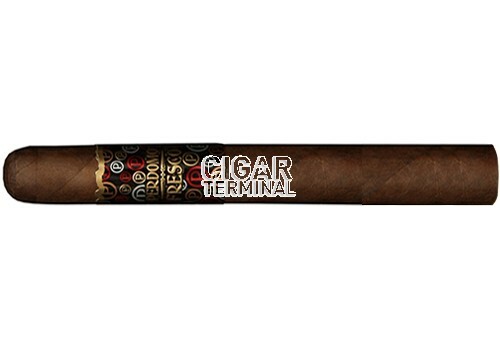 A medium-bodied cigar packaged in cigar bundles of 25 cigars. Creamy, smooth and well-balanced, Perdomo Fresco Toro Maduro cigars are among our most popular Nicaraguan bundled cigars. The Perdomo Fresco cigar is a fine blend of deeply fermented Nicaraguan & Dominican Cuban seed tobaccos punctuated by a medium to full-bodied Nicaraguan Maduro wrapper carefully selected from the tobacco plant's 5th & 6th primings. This Perdomo maduro wrapper offers a rich, silky smooth quality. One of our most popular bundled cigars, and a great everyday cigar.